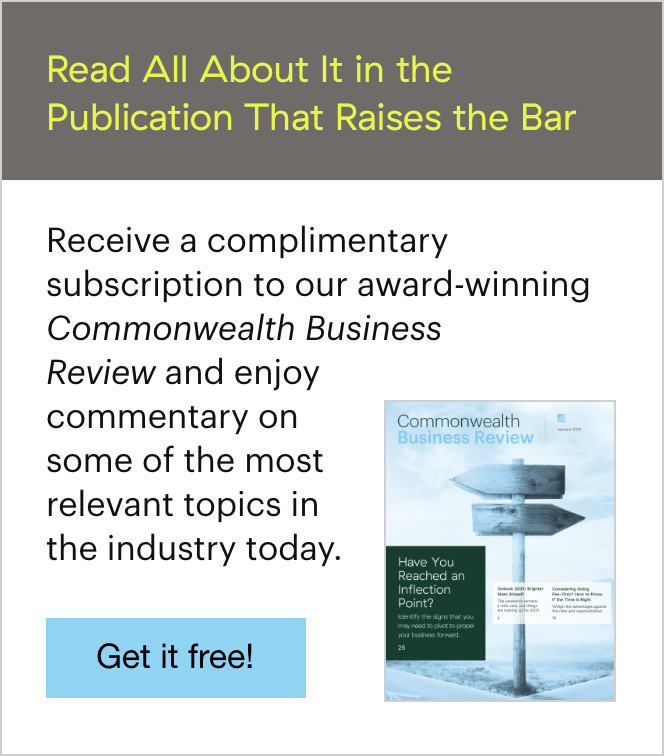 In a recent study focusing on the retirement needs of small business owners, many of those surveyed were "either open to or in need of more advice about their retirement planning." Specifically, they wanted to understand their options and the tax implications of their decision. Clearly, this is an opportunity for advisors to help small business owners plan for retirement. But where do you start? Whether you already have clients who are small business owners or are looking to explore this niche opportunity, you can begin by understanding the ins and outs of the most common plan types, including their ideal clients, contribution rules, and tax benefits. Help small business owners plan for retirement with our free guide on finding the retirement plan that fits. Ideal client. An individual 401(k) plan is designed exclusively for businesses that employ only owners and their spouses or for partners in a partnership. If the business owner plans to hire staff in the near future, another plan type should be considered. The maximum contribution to an individual 401(k) is the lesser of $54,000 or 100 percent of compensation. The business owner may invest up to 25 percent of compensation as an employer profit-sharing contribution, plus an additional $18,000 as an employee salary deferral, up to $54,000. For those age 50 and older, catch-up contributions of up to $6,000, for a maximum contribution of $60,000, can be made. Tax benefits. The full amount of plan contributions can be deducted from taxable income each year, which can substantially reduce the business owner's current income taxes. Unincorporated business: The owner can deduct contributions for himself or herself from personal income. Incorporated business: The owner can generally deduct contributions as a business expense. Deadline. The plan must be established by the end of the employer’s tax year (generally December 31) and costs as little as $75 per year. Ideal client. 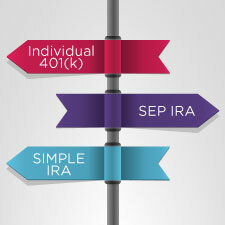 SEP IRAs are a great retirement savings vehicle for self-employed individuals, independent contractors, and business owners with just a few employees. They are easy to establish and maintain, have low administrative costs, and don’t require complicated testing requirements or government tax filings. There is no limit to the number of employees who can be covered by a SEP IRA, but they must meet certain requirements. Employers may contribute a maximum of 25 percent of compensation, up to $54,000, and the maximum covered compensation is $270,000. Self-employed individuals may contribute a maximum of 20 percent ($270,000 × 20 percent) of net earnings after expenses. Contributions are immediately 100 percent vested; therefore, if an employee were to resign soon after the employer contribution was made, he or she would still be entitled to 100 percent of his or her account value. Tax benefits. All contributions are tax-deductible, and the business doesn’t pay taxes on the earnings on the investments. Deadline. The deadline to establish a SEP plan for the current tax year is the employer’s tax filing deadline for the current tax year (including extensions). Ideal client. SIMPLE IRAs are designed for businesses with fewer than 100 employees. They allow employee contributions, are an inexpensive option relative to a full-blown 401(k) plan, and do not require discrimination testing or employer IRS filing. Contributions. Employers have two options. They can either match their employee's contributions dollar-for-dollar, up to 3 percent of compensation (this can be reduced to as little as 1 percent for any two of the five prior years). Or, employers can choose to make a flat 2-percent nonelective contribution to all eligible employees, regardless of whether an employee contributes or not. Employees can make salary deferrals of up to $12,500. Those age 50 and older are eligible to make catch-up contributions of $3,000, bringing the total deferral to $15,500. Both employer and employee contributions are immediately 100 percent vested, and there are eligibility restrictions. Eligible employees include those who have earned at least $5,000 during any two preceding years and who are reasonably expected to earn $5,000 in the current year. Tax benefits. In general, employer contributions are considered a business expense and may be fully deductible. Deadline. The deadline for establishing a SIMPLE plan for a current tax year is October 1, and a 60-day notice must be provided to eligible employees (e.g., November 2–December 31, 2017, for a new 2018 plan). Ideal client. For employers who want the features and flexibility of a traditional 401(k) without the nondiscrimination testing, a safe harbor 401(k) is a viable option. The trade-off is that employers must contribute to employees’ accounts. Employees can make salary deferrals of up to $18,000. Those age 50 and older are eligible to make catch-up contributions of $6,000, bringing the total deferral to $24,000. Both employee contributions and the required employer contribution are immediately 100 percent vested. Any additional profit-sharing contribution, however, can be tied to a vesting schedule (gradual up to six years or cliff up to three years). Tax benefits. All matching contributions to employee accounts are generally tax-deductible. Deadline. Safe harbor 401(k) plans must be established by October 1 to be eligible for the current tax year. The right retirement plan can help your small business owner clients maximize their tax deductions and offer flexibility on employer contributions. By understanding their financial goals and educating them on what each plan type has to offer, you can help them find the option that best suits their needs and secure the financial future they’ve worked so hard to achieve. 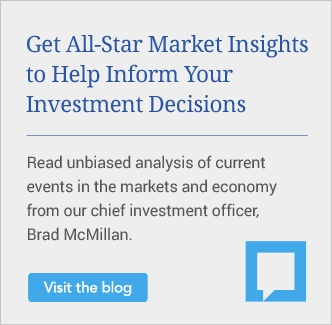 Do you see small business owners as a niche opportunity for advisors? What strategies do you use to help them get ready for retirement? Please share your thoughts with us below!